Fashion had me at a very young age. Well before pointy shoes and McQueen and paisley pashminas, I learned to covet shiny objects. 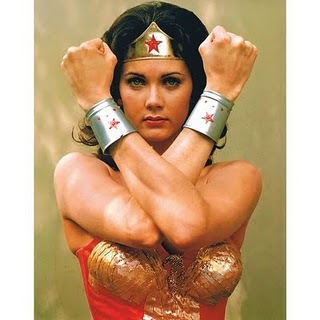 Like many soul sisters (and not so little boys) the world over, I adored Wonder Woman. Her power cuff bracelets were the specific objects of my affection. 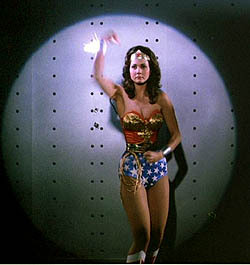 Lynda Carter as Wonder Woman in the TV series. You know the ones – she’d raise her arms when something came at her and the bracelets would deflect it – be it bullet or bull. A girl needs those bracelets. As I grew older and came across everything from nazar to nonsense, I wished for those power bracelets even more. Well, today I found something that could be the modern-day equivalent of those gold cuffed wonders. 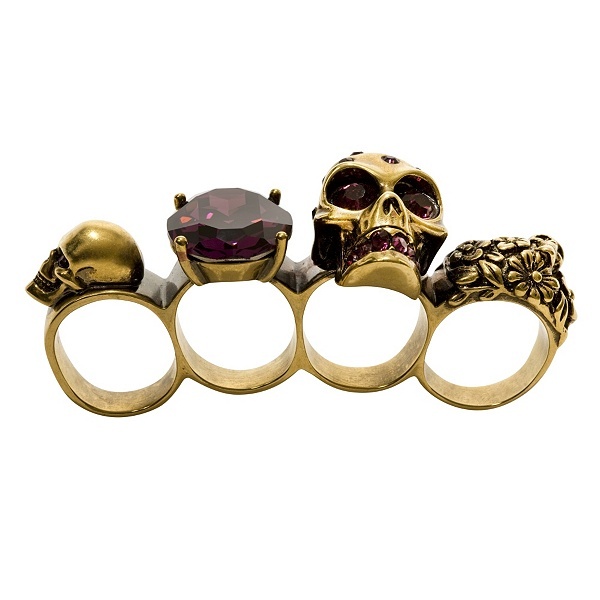 This McQueen knuckle duster is perfect for keeping us modern, wonderful women away from the bull that comes at us on a daily basis. Modern Wonder Women take no crap! 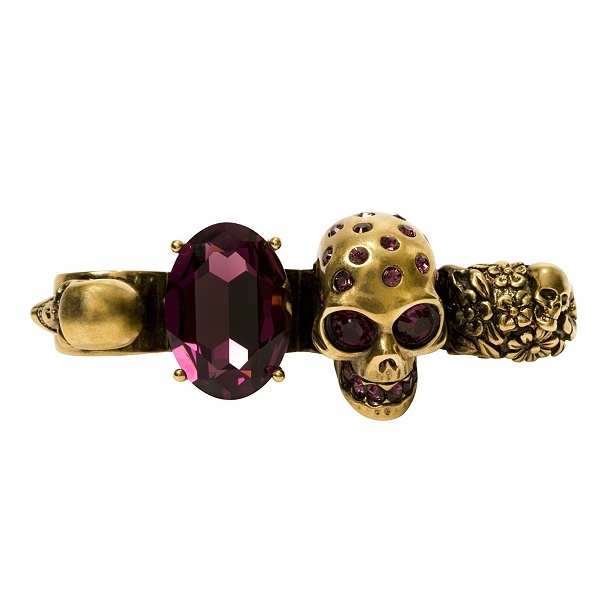 Gleaming jewels embedded in skulls don’t lie, girls. Consider yourselves armed – and delightfully dangereuse. Wonder Woman images courtesy of Wikipedia. 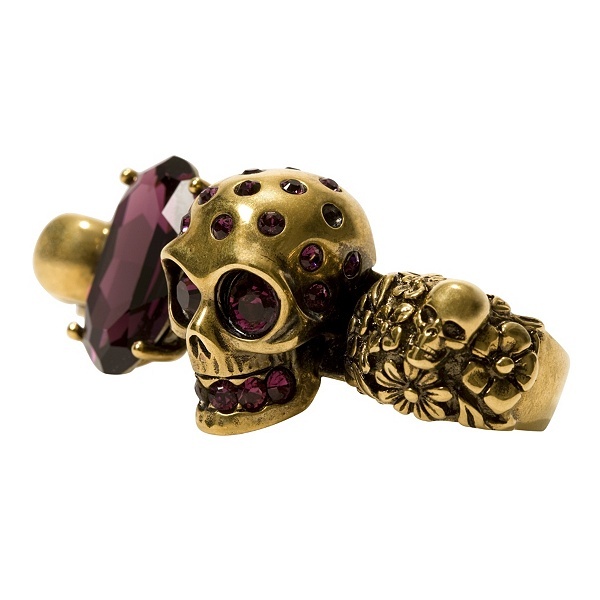 McQueen jewellery available at alexandermcqueen.com.